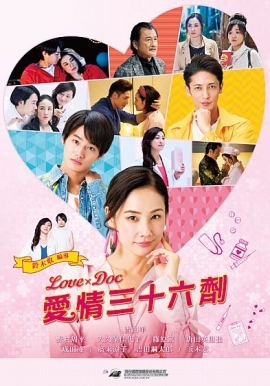 A certain town has a clinic that specializes in romance, called the LOVE DOC. Its significance is best understood by the kinds of people who fall in love easily. So one day, a popular pastry chef named Asuka Goda drops by. She’s on the way to a successful life, but her vulnerability to love ends up costing her job and best friend. So the Love Doc director, Reiko Fuyuki, offers Asuka a special drug developed from genetic information and blood analysis. Once injected, she’ll never fall into a harmful romance again. Call it a vaccine against bad relationships. But can it put her on the “right” romantic track?